Anxiety happens whether you like it or not. It's your body's way of telling you "something is wrong here." Learning how to use anxiety as a personal weapon for self-defense is the best way you can achieve awareness and avoidance, which are the first two steps learned in self-defense preparedness training. Anxiety happens whether you like it or not. It's your body's way of telling you "something is wrong here." 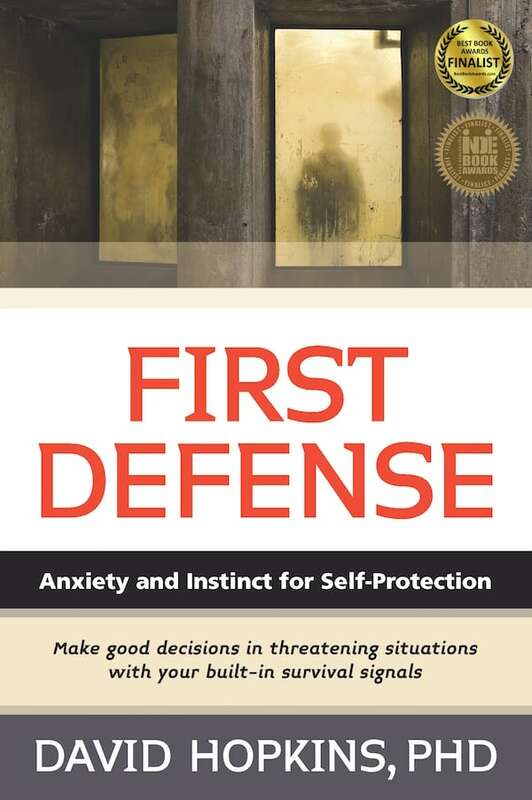 Learning how to use anxiety as a personal weapons for self-defense is the best way you can achieve awareness and avoidance, which are the first two steps learned in self-defense preparedness training. Everyone is born with an instinctual survival mechanism. In fact, it has kept humankind safe for millennia. Unfortunately, most of us have been conditioned to ignore it. That's dangerous. Understand why your instincts are the key to making the right decisions. Recognize how anxiety is the link between decision-making and instinct. Learn how to be completely in the moment, so you can coordinate anxiety and instinct into a highly effective decision-making process. You will learn how to develop personal safety skills by doing thought exercises, both in your home and in public spaces. These important exercises will help you become more aware of your surroundings and empower you to make the right decision on what or who to avoid.